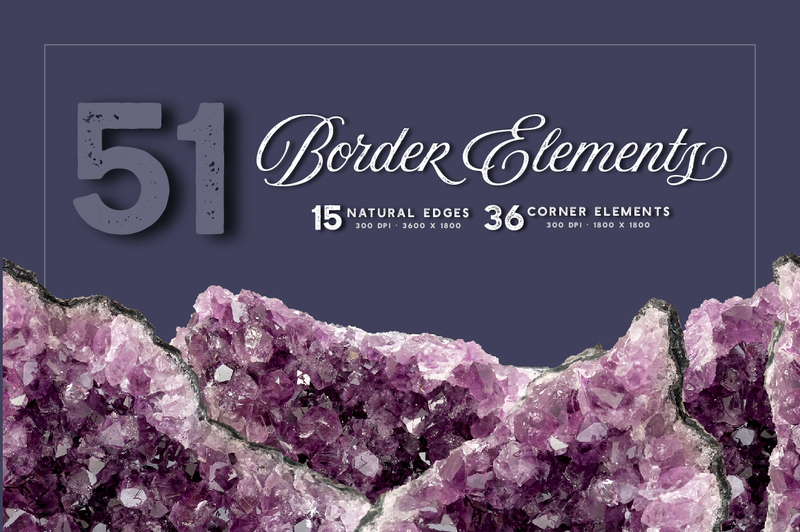 Greetings, there’s a new border set in town and it’s sure to to grab your attention. 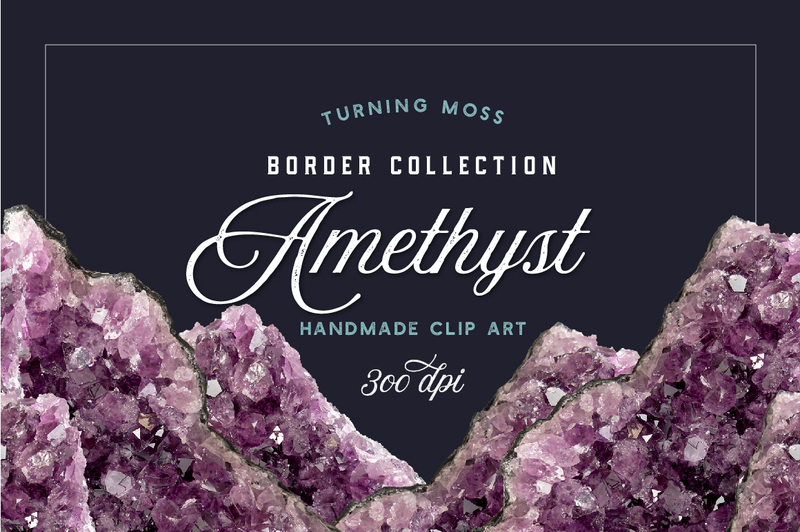 Straight from the earth, this gemstone border collection is made with REAL Amethyst stones. 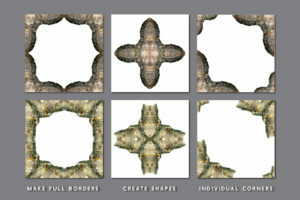 Each border is made with natural photographic elements. 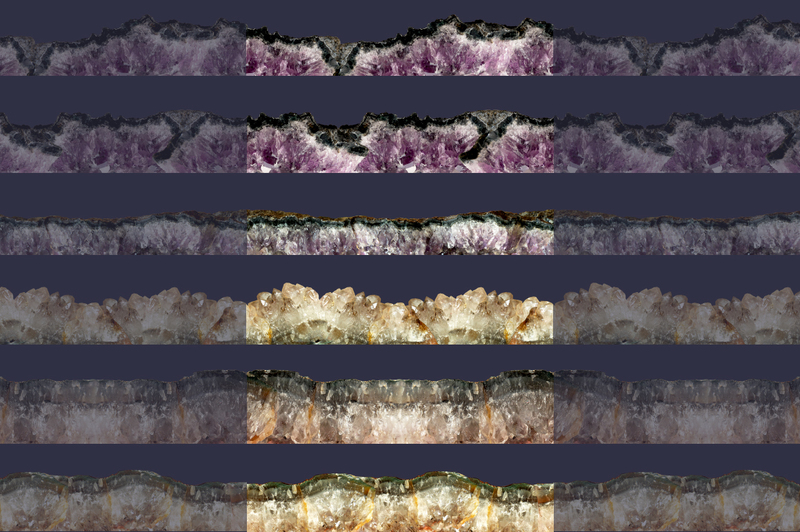 In this pack you will find 51 crystallized png files. 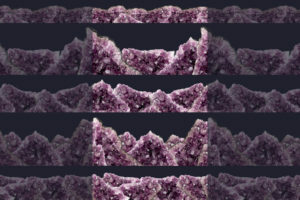 Amethyst is one of the most stunning gemstones around, with its varying shades of purple, this stone is truly royal. 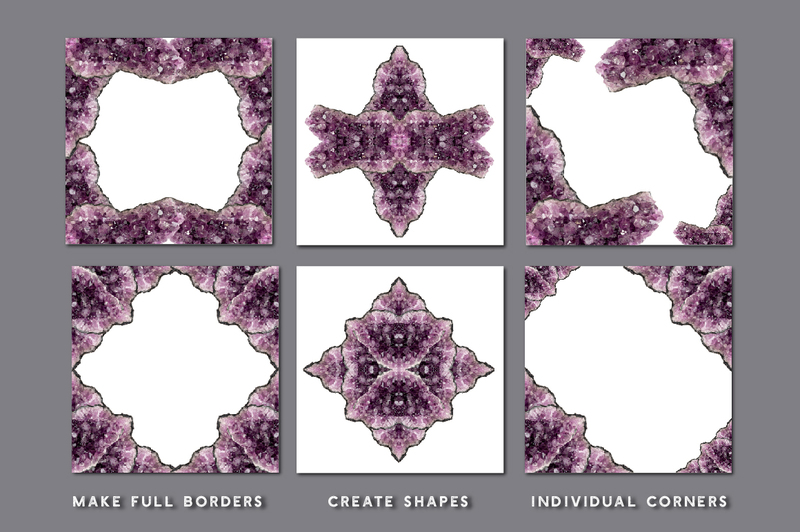 This Gemstone Border Collection was hand selected and carefully arranged into edges and corners that are ready to use. 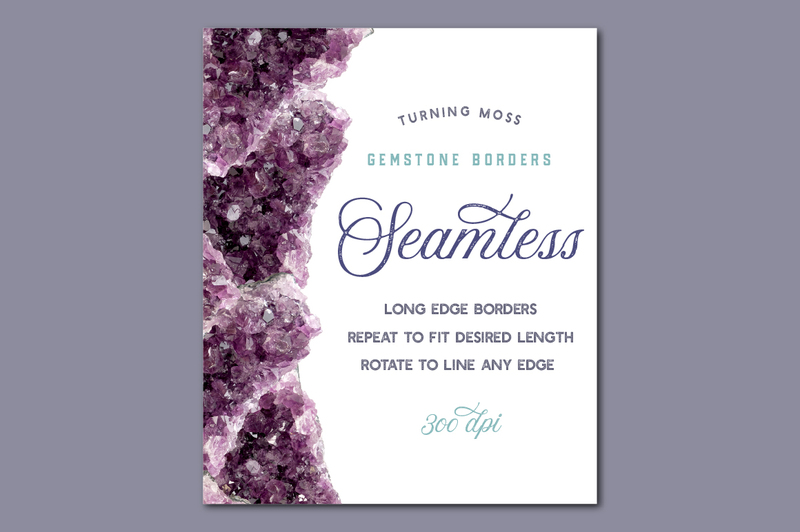 The long edge borders are seamless and can be repeated and rotated to fit the desired placement. 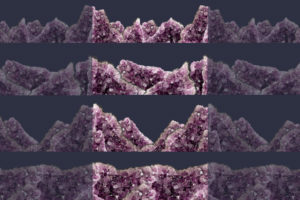 Line the edges of your design in the magical sparkle of Amethyst. Great to use for all your border needs! 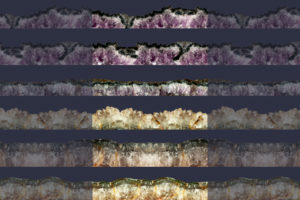 Use for digital backdrops, personal website/blog, graphic design, banners, digital scrapbooking, greeting cards, invitations, place cards, fliers, party supplies, and more! These dazzling Amethyst borders are seamless, you can tile the png files to repeat and fit any length. 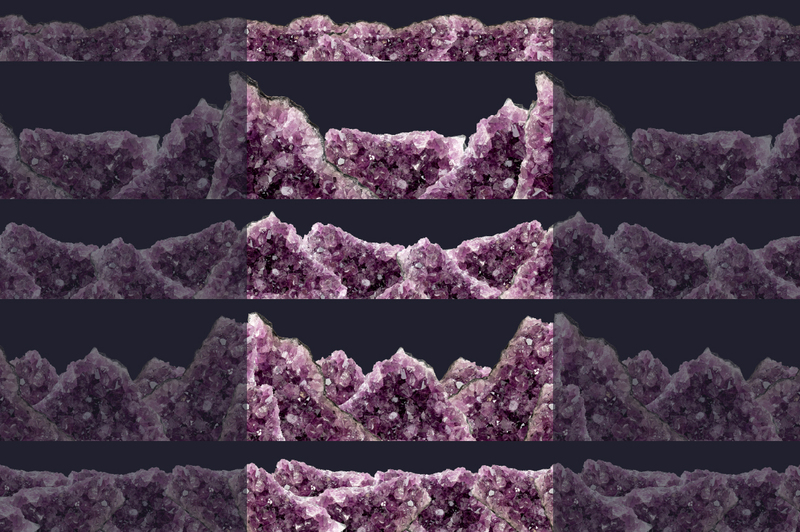 Click the images below to get a closer look. 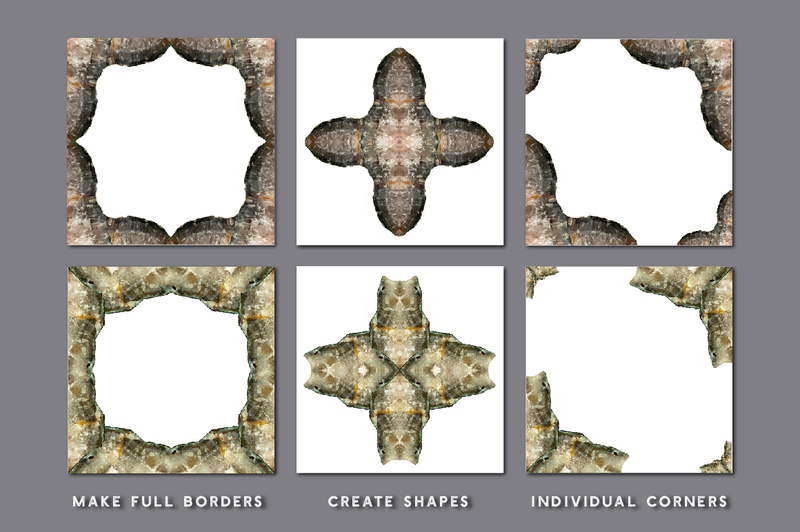 Since these borders are made with photographic elements, they add a realistic and natural mood to your design. 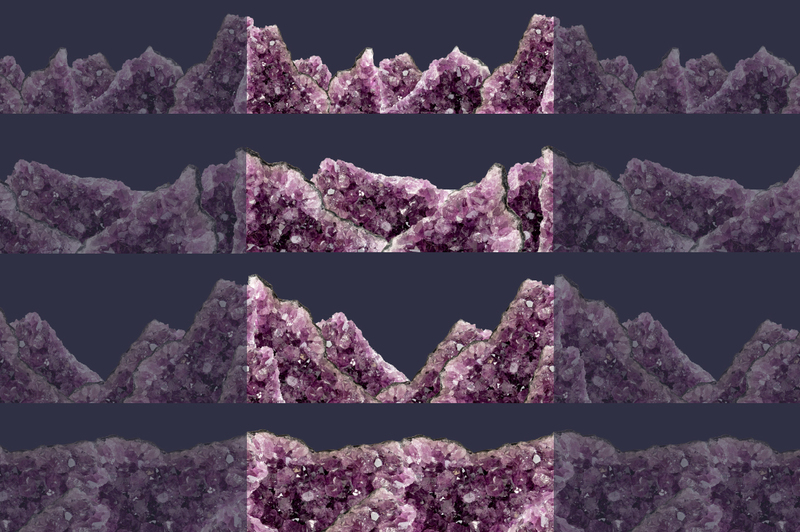 You can easily create your own Amethyst crystal landscapes! 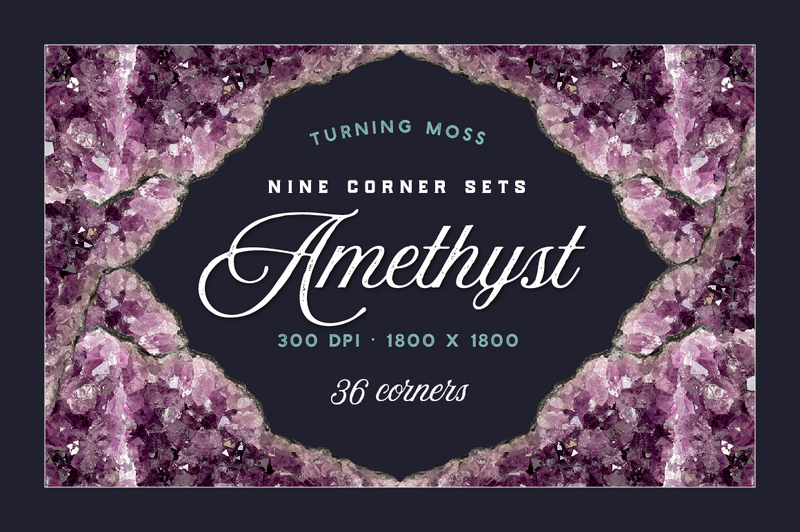 Perhaps you don’t need a full length border, not to worry, we’ve also included 9 sets of corners to the pack! 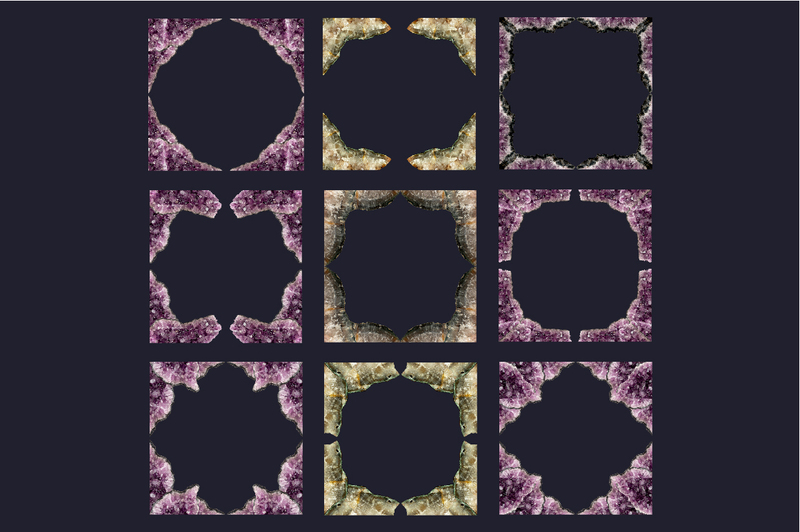 That’s 36 corners to choose from! 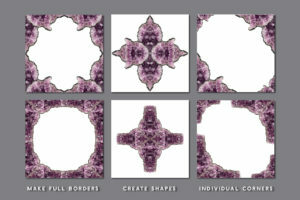 Great to add just a touch of bling or you can go all out and create full borders with each set. 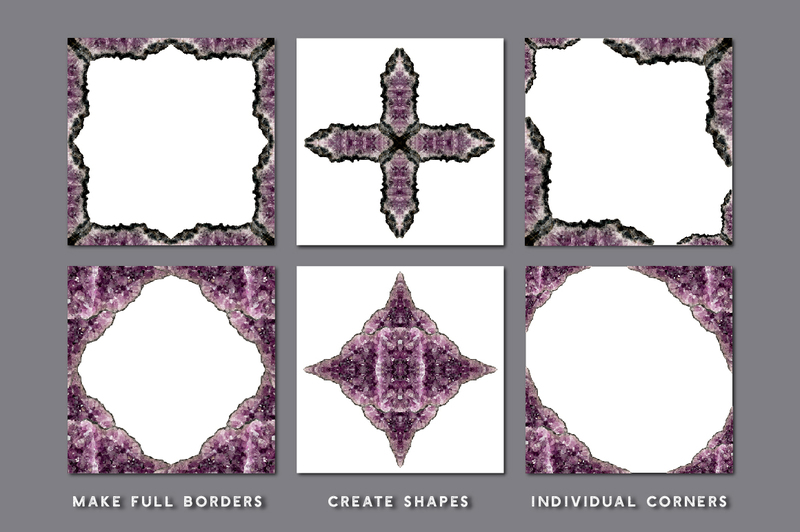 Each pre-made corner png file is 1800 x 1800, resize and position to create a variety of looks with these simple digital elements.